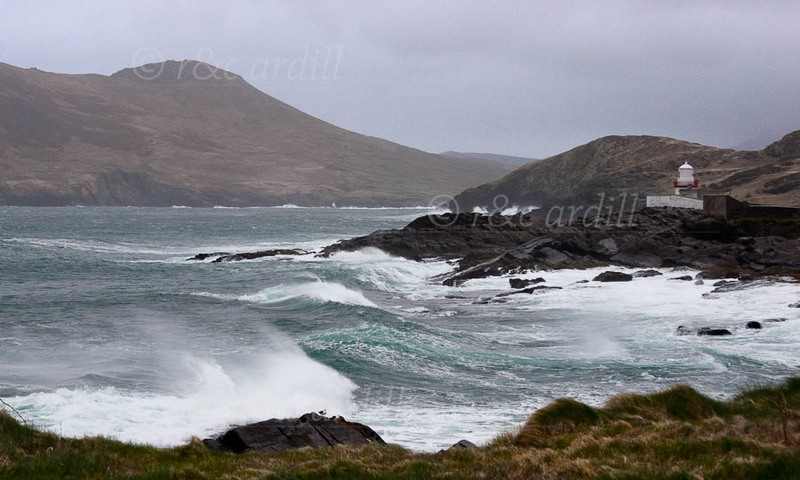 Photo of: West of Ireland: Kerry: Iveragh Peninsula: Valencia Island. A view of Cromwell Point Lighthouse on Valencia Island. Beginish Island can be seen to the left background. A strong gale was blowing when this picture was taken and the sea was rough even in this protected inlet. Valencia Island is the most Westerly inhabited region of Ireland. The point is also called Fort Point as the lighthouse was built on the site of an old Cromwellian fort.